An Electric Vehicle or EV is any vehicle that is powered in full or in part by a battery and uses one or more electric motors to propel the vehicle. The popularity of electric vehicles has risen significantly in recent years as more and more manufacturers launch electric vehicles as part of their core model range and as a result of step changes in technology which has led to electric vehicle ranges increasing and speed of recharging reducing. As the volume of new electric vehicle registrations continues to increase year on year we are also seeing the base list price of electric vehicles reducing. The UK government has also looked to promote the adoption of electric vehicles by offering grant subsidies when purchasing an electric vehicle new, along with road tax, benefit in kind concessions for company vehicle drivers and congestion charging incentives. A vehicle that is powered solely by a battery which is charged from mains electricity and produces zero tailpipe emissions. The concept of an all electric vehicle has been around for over 100 years and with the number of moving parts being a fraction of that which goes into building a more conventionally fuelled vehicle the cost of maintaining and servicing a Pure Electric vehicle can be significantly lower and reliability much better with less opportunity to go wrong. A vehicle that can be powered by either a battery or a more standard fuel based internal combustion engine (ICE). The driving range will typically be a lot lower for the battery fuelled option when compared to the range of the ICE powered by diesel or unleaded fuel, with battery range typically being 12-30 miles. The driver is able to switch between battery power and ICE at their convenience. A vehicle powered by a battery, but with an internal combustion engine (ICE) generator which allows the battery to be recharged as the vehicle is driven on pure battery power. Unlike the Plug-in Hybrid vehicle this car always runs on battery power only with the ICE generator used solely to recharge the battery. The vehicle is charged by mains electricity and will run solely on battery power for the duration of the journey, if at any point the battery power becomes depleted the ICE generator will kick in and recharge the battery allowing the vehicle to complete its journey. Electric vehicles are typically charged at one of three locations home, work or public charging point. The fuel cost per mile for any vehicle will depend on a number of factors, for standard petrol and diesel vehicles this will primarily depend upon the miles per litre or gallon for the specific vehicle and the cost of petrol or diesel per litre or gallon, for electric vehicles the fuel cost per mile will depend of the cost per KW of electricity and the number of KW hours to fully charge a battery. Currently the average cost of fuelling a Pure Electric vehicle is between 2p and 4p per mile, whilst the average cost of fuelling a petrol or diesel vehicle is 10p to 15p per mile. The UK government as part of its broader environmental policy strategy, wants to support and incentivise the adoption of more environmentally friendly fuels. For business drivers that are provided with a company vehicle they will incur a personal benefit-in-kind charge for their personal use of the vehicle. Electric vehicles can offer business drivers a very low cost option for personal tax when compared to more standard internal combustion engine powered vehicles. 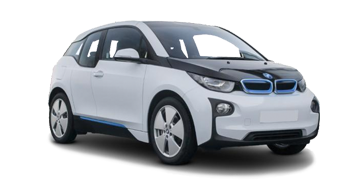 Always get a number of quotes from different insurance providers, this isn't just a tip relating to electric vehicles but any vehicle you may lease or buy, premiums vary significantly between different insurance companies so it definitely pays to get a number of quotes. Comparison sites are a great way to do this quickly, although from our experience its is always best to go to at least 2 comparison sites as not all insurance companies may be registered with one particular comparison site. Also be mindful that some insurance companies do not appear on any comparison site e.g. Direct Line. As the popularity of new electric vehicles continues to increase a growing number of specialist electric vehicle insurers are entering the market, due to the focus on this sector and greater understanding of the electric vehicles being insured they may offer a more competitive premium. Again general sound advice when leasing or buying any vehicle is to get some indicative quotes before you commit to getting your new vehicle. Insurance premiums can vary significantly between different vehicles and whilst the car insurance grade is one factor there are many other factors that will influence your premium. So always look at your total monthly costs when choosing your new vehicle, including monthly lease cost, servicing and maintenance, fuel and insurance premium. When arranging your insurance cover please ensure that you disclose to the insurance company that the vehicle is on a Hire Agreement and that the finance company is the registered owner and keeper of the vehicle. Most electric vehicles will come with the battery included as a component part of the vehicle, however a small number of manufacturers have taken the decision to lease the battery under a separate agreement, please ensure that if this is the case that you inform your insurer. This is a point that is unique to electric vehicles, when charging an electric vehicle on occasions some accidents have occurred when someone has tripped over a cable whilst the car is charging ( whilst this is not a common issue always be mindful of this point when you charge your electric vehicle), always confirm with your insurer if cable cover is included or not so that you can compare your insurance quotations on a true like for like basis. There are some key points that will determine how appropriate an electric vehicle is as your chosen vehicle. Overnight storage - Firstly do you have access to a garage or off-street parking as you will need this this in order to recharge your vehicle overnight. However options are now becoming available to potentially apply to your local authority to get an on-street charging point installed at a place which is close to your house, also the UK government's Plugged-in-Places programme offers match funding to business and public sector partners in eight regions across the UK. Mileage - Your average daily mileage is also a key factor when determining if an Electric vehicle is a suitable option, typically average daily mileage of less than 100 miles make an electric vehicle a real option, drivers who have a standard daily commute to work of less than 20 miles are also well suited to an electric vehicle and with driving ranges continuing to improve year on year with new model launches, range is becoming less of a challenge for a large number of drivers. Cost - Finally cost is a consideration which should not be overlooked as Electric vehicles still generally command a higher price than their internal combustion engine (ICE) counterparts, but with increased production of electric vehicles, greater price competition as more manufacturers offer an electric option and the significant savings on fuel that can be made when driving an electric vehicles they are fast becoming a mainstream choice. When leasing a vehicle the costs of purchasing it are less relevant as it the monthly lease costs that give a more true and accurate reflection of cost, hence why when the low cost of maintaining an electric vehicle along with the potential significant fuel savings, the monthly total running cost of driving an electric vehicle can make them the perfect choice for many drivers. All vehicles by law have to conform to very strict minimum safety regulations, electric vehicles will also have to meet certain standards which cover the safety of the vehicle's battery and charging cables. All new cars are also tested to the same safety standard called NCAP, this safety standard covers crash tests which assess adult, child and pedestrian safety and gives vehicles a rating out of 5 stars. Generally the safety of electric vehicles is comparable to more standard combustion engine vehicles of similar size, please see our vehicle details for the NCAP safety rating of the vehicles you are interested in. How much does it cost to service an electric vehicle? Generally costs for servicing and maintaining a Pure Electric vehicle will be lower than that for a vehicle fuelled by petrol or diesel. The main reason behind this is that Pure Electric vehicles have a much simplified powertrain with far fewer moving parts and consumables. Industry figures say that the average cost for maintaining and servicing a petrol or diesel vehicle is £460 per year compared to the average cost for a Pure Electric vehicle which is approximately £115...an annual saving of £345. Costs for any vehicle will vary by make and model and also depending upon its age and annual miles driven. Is a specialist charging point required to charge an electric vehicle at home? Whilst most electric vehicles can be charged via a standard 3-pin socket, we would definitely advise that a dedicated charging point is installed at your home by a qualified installer. Standard 3-pin sockets are not designed for continuous high power Electric vehicle charging and similar to your cooker should be put on a standalone circuit. A charging point is a compact weatherproof unit that can be mounted on an exterior wall close to the area where your vehicle is parked over night. These home charging units can offer a safer and faster way to charge your electric vehicle at home. Costs can vary between £250 to £500 to install a charging point at home. When installing a home charging point try to position it in a location where the charging cable does not present a trip hazard. Do electric vehicles come with a manufacturer warranty? All new Electric vehicles will come with a full manufacturer warranty and will have specific provisions to cover the electric vehicle's main battery. If a vehicle is pre-registered, you will be entitled to the balance of the manufacturer’s warranty outstanding from the original date of registration. For full details relating to your vehicle's manufacturer warranty please contact one of our customer services executives or refer to the Manufacturer's warranty terms and conditions. Are electric vehicles expensive to insure? All vehicle insurance policies will have a premium that is calculated on a number of different factors, these will include the type of vehicle, its cost, power and safety credentials, how secure the vehicle is from theft and how expensive repairs would be in the event of an accident or damage to the vehicle. The insurance premium will also factor personal details regarding the driver, age , driving claims history, location, occupation and annual mileage are also some examples of factors that can influence a vehicle's insurance premium. When electric / hybrid vehicles were less common insurance may have come at a premium to more standard vehicle types as insurers were unsure as to true levels of risk and cost associated with electric / hybrid vehicles. However these vehicles whilst still relatively small in numbers have increased in popularity and are now much more commonplace. As a result insurance premiums should now be much more in line with similar costing standard fuelled vehicles. What range will an electric vehicle travel? 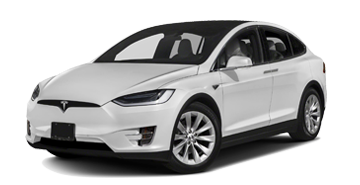 All Electric vehicles will state the anticipated range that the vehicle will travel on a full battery charge and your electric vehicle will always have a real time indicator as to the current driving range for the vehicle when you are driving it. The range is based on a number of average factors that could influence the actual range your electric vehicle will drive. These factors will include Weather - Weather extremes , i.e. very hot or cold temperatures may degrade the battery performance, also heating the vehicle interior or cooling it with air conditioning may also use battery power and subsequently reduce the range. Driver style - This can also affect the range achieved in your electric vehicle, higher speeds will short the range whilst slower more conservative driving can extend the driving range. Pure Electric vehicles will typically have a range of 100 -200 miles but some Pure Electric vehicles now have a range exceeding 250 miles. PHEVs currently have an electric range of between 15-40 miles. Extended Range Electric vehicles usually offer a similar range to that of a Pure Electric vehicle but can then use a small combustion engine in the vehicle to extend the range further. How environmentally friendly is an electric vehicle? When driven a Pure Electric vehicle has zero emissions of greenhouse gases or health harming nitrogen oxide and offer a very quiet form of motoring and as such are viewed as a very environmentally friendly choice. However to answer this question properly, factors such as how the electricity has been generated ( burning fossil fuels or more sustainable electricity generation) to fuel the vehicle and the environmental impact of producing and disposing of an electric vehicle battery are factors which should be considered. Are electric vans a viable option? More and more businesses are now looking into electric vans as a viable option to the more standard alternatives of diesel and petrol fuelled vans. With more manufacturers now offering electric or hybrid van models, the choice is increasing and the premium paid for electric vehicles continues to decrease as the scale of manufacturing volumes increase. Businesses are not only looking to benefit from the fuel savings offered by electric vehicles but also the cost savings generated by lower road tax charges and the more regional based discounts / waivers of congestion charging. the total monthly running cost of the vehicle, core lease cost including depreciation, road tax and finance, maintenance and servicing costs, fuel costs, associated costs that may vary dependant upon fuel type e.g. Congestion charges, Benefit In Kind for the driver, national insurance payments. The average daily business / commuter mileage - Pure -Electric vehicles have an average driving of around 100 miles, so businesses whose daily mileage is within this range make an all electric vehicle a viable option, for greater daily mileages a hybrid or extended-range vehicle may offer a more suitable alternative. Charging infrastructure - based on the planned location of the vehicle charging points will need to be easily accessible or installed. 4/ Business green credentials - many businesses are now choosing electric / hybrid vehicles to reinforce their green credentials, also it is now becoming more common that in certain industry sectors customers are demanding and stipulating a green delivery requirements for their chosen supply partners.